Fibroids, or uterine fibroids, are small growths that grow in and around the womb. They are non-cancerous and most of the time, women don’t even know that they have them. Fibroids are often discovered by chance during routine pelvic examinations or scans. However they can also cause problems such as pain or heavy bleeding. If fibroids cause problems, they can be treated with medication, however if this is not successful, surgery may be recommended. 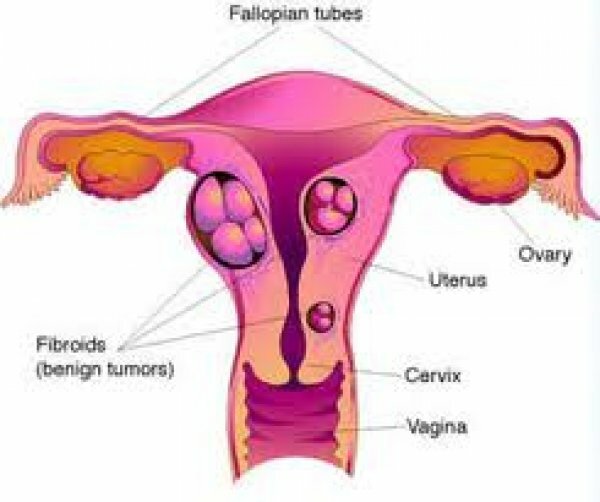 Intramural fibroids - grow in the uterine wall and are the most common type of fibroid. Submucosal fibroids - grow on the inside of the womb (uterus) and extend into the uterine cavity. Subserol fibroids - grow on the lining between the uterus and the pelvic cavity (outisde of the womb). There are a number of different surgical alternatives available for the treatment of fibroids if they become a problem. The type of surgery that will be recommended to you will depend on how severe your fibroids are, how large they are, and where they are situated. It is carried out under general anaesthetic (you will be asleep for the procedure). The surgeon will look at the womb using a telescope to see exactly where the fibroids are situated – they will then inflate your womb with a special device so that they can insert other instruments. The affected parts of the womb lining are then removed with a wire loop which works to remove the womb lining and also to stop any bleeding. It is carried out under local anaesthetic (you will be awake but the area will be numbed). It is performed by a radiologist (a doctor who interprets X-Rays and scans). A chemical is injected through a catheter (a small tube) in a blood vessel in your leg which works to block the blood vessels that supply the fibroids. This makes them shrink. After the procedure, you will need to stay in hospital for 24-48 hours for monitoring and will need to rest for around two weeks. This is the surgical procedure that is used to surgically remove the fibroids from the sides of your womb. It is an option for women who still wish to have children in the future. It is performed under general anaesthetic, as keyhole surgery (the surgeon will make tiny incisions in your tummy and will insert special instruments through these holes). The fibroids are then removed through these small holes. This type of surgery is good for women with smaller fibroids however may not be suitable for women with particularly large fibroids. A hysterectomy is a surgical procedure to remove the womb. If you suffer very severe bleeding or very large fibroids, this is the best way of preventing fibroids from returning. If your fibroids are particularly problematic this may be the best method of treatment but you will not be able to have any more children after the procedure. You can read more about hysterectomy in the Kegel8 Guide to Hysterectomy. As with any form of pelvic surgery, it is vitally important to strengthen your pelvic floor muscles to give yourself the best results and the best chance of healing after your operation. Before your operation, we recommend that you use one of our Kegel8 pelvic toners to work 90% of your pelvic floor muscles and afterwards, you can carry out manual Kegel exercises until your surgeon gives you the all-clear to use your Kegel8 pelvic toner again.